The Keystone View Company produced many different image collections over the years from all over the world. Go to any antiques show or flea market and you are bound to find something from their vast inventory. Sometime around 1915, they produced a fantastic collection of images for C&H, detailing the various aspects of this great company. The entire collection itself is hard to find, and most often you will come across individual views from the 35 view group. Here are several from that group showing some new images that normally aren't seen. split into 6 sections. 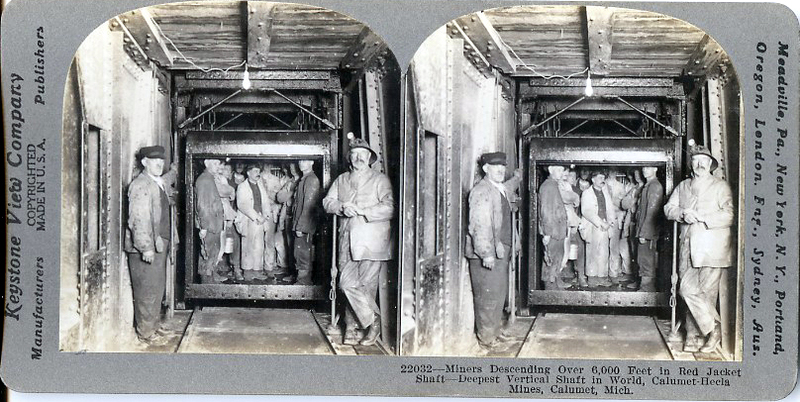 One section, plus a separate hoist, was used solely for transporting men. 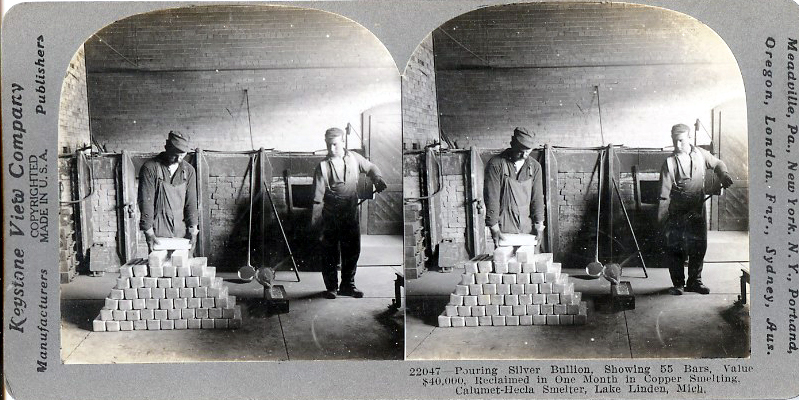 Note the use of carbide lamps, which also helps to date the images. This appears to be the #2 Calumet shaft, which was located where the new elementary school resides today, behind Washington Middle school. The opening for the #3 shaft is viewable nearby, with a plaque commemorating the site. 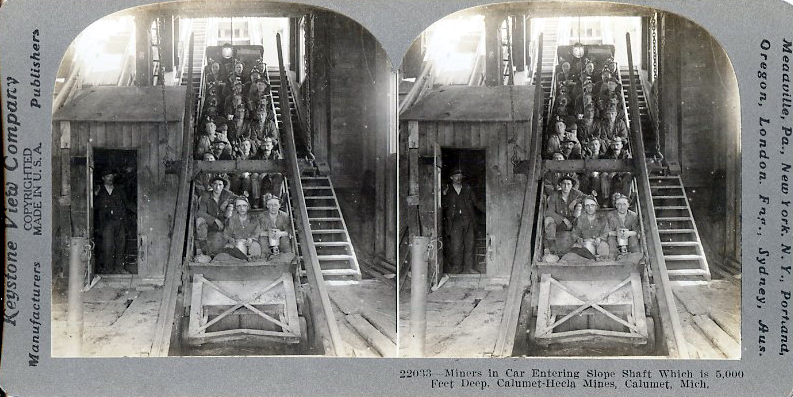 These miners were probably on their way to the "dry", where they would clean and change back into their home clothes. The "dry" for the #2 shaft is still standing, directly west of the elementary school. 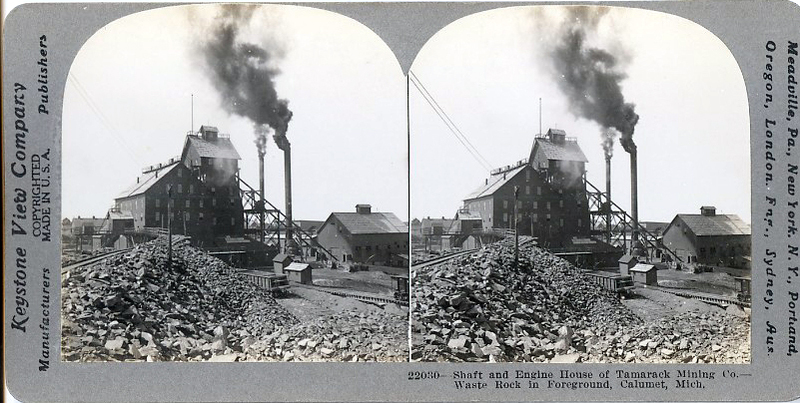 The boiler house and short stack are still standing on Mine street. 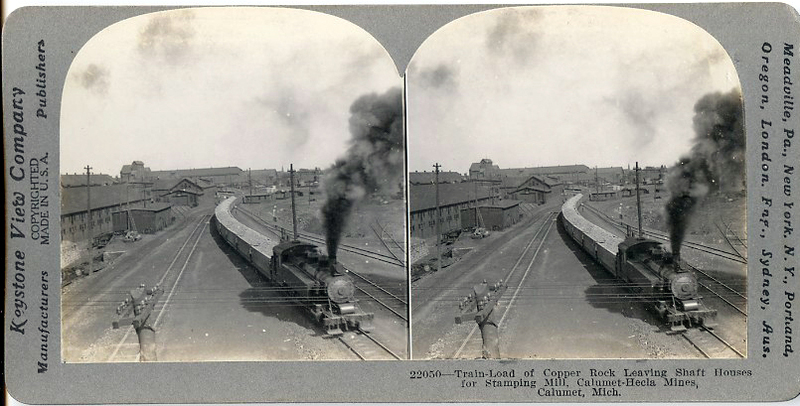 The large building on the left housed the great Superior engine. for the local road commission. above would be to the left of these men. A great image of the famous "one-man drill" that caused so many issues during the strike of 1913-14. 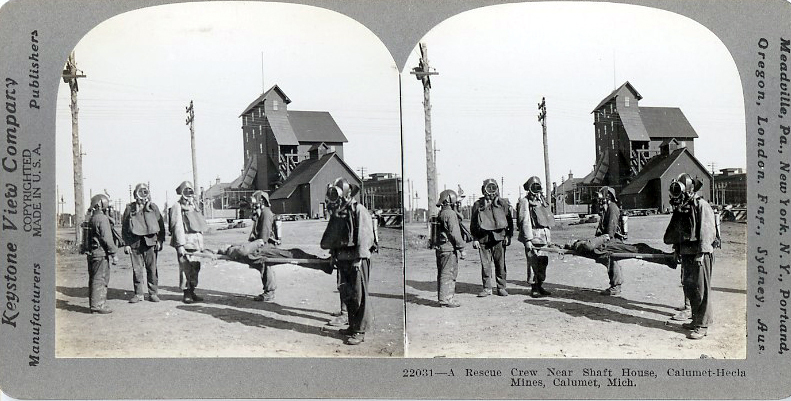 Since this image is tagged to the Tamarack Mining Company, in this case the #2 shaft, this tells me this group was taken before 1917, when the Tamarack merged with C&H.